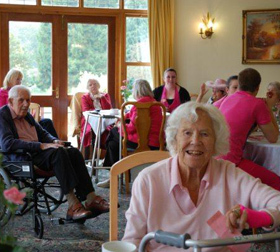 The Grange residential home is set in over ten acres of beautiful, landscaped gardens extending down to peaceful walks and delightful seating areas. 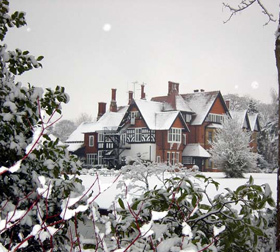 It is an elegant listed building, having originally been built around 1880. 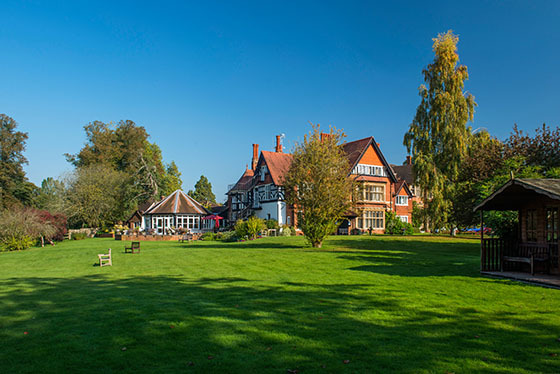 It has a great deal of charm and character with a serene, warm and friendly atmosphere. 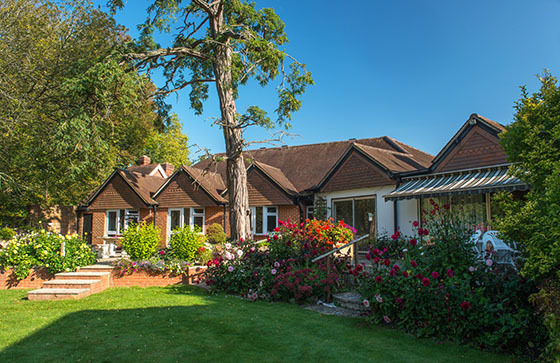 The Grange is a forty-two bed care home for the elderly set in the heart of Goring-on-Thames. 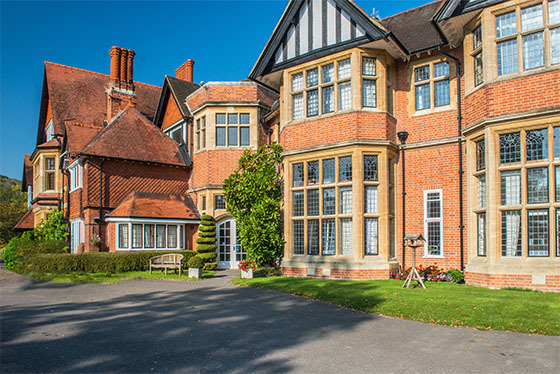 All the rooms at The Grange care home are centrally heated, well appointed and tastefully furnished, with facilities for television and telephones. The majority of rooms have en suite bathrooms and all have individual wash basins; several rooms also have their own sitting rooms. We have single and double rooms available for married couples. 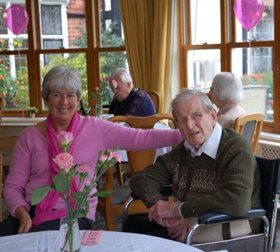 Residents at The Grange are encouraged to bring personal effects, furniture and treasured belongings to help make it their own home. 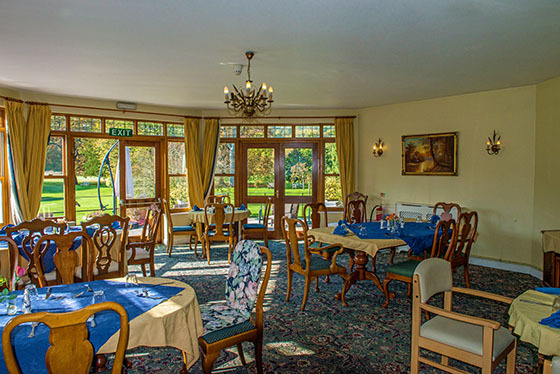 A great deal of time and thought is given to the menu with excellent food being served in the dining room at main meal times, and breakfast served in rooms. The main meal is lunch with a light hot supper in the early evening. Individual diets are catered for and residents are encouraged to participate in meal planning at the residents meetings. 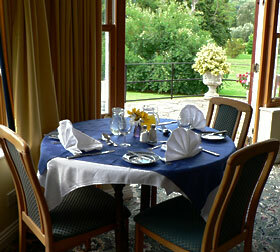 We also welcome visitors to enjoy a meal with us at The Grange. 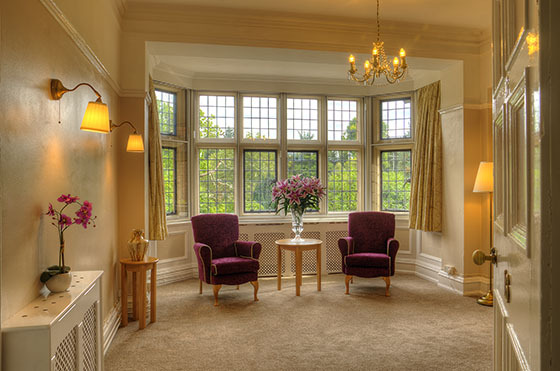 Two passenger lifts are available for the ease and comfort of residents, and a fully approved alarm system with smoke detectors, fire doors and emergency lifting is installed throughout the residential home. A comprehensive training programme is in action to ensure that the highest possible standards are maintained. 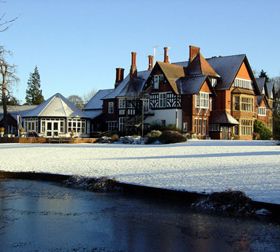 All the staff at The Grange have at least an NVQ2 qualification, with several trained to a higher level. 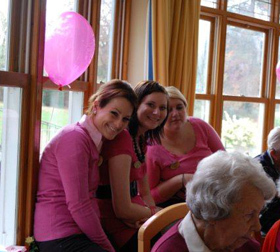 Between all the staff they provide 24 hour care. 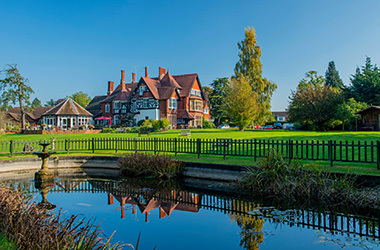 They are committed to providing real quality of care in a secure, comfortable and very pleasant environment in the heart of Goring-on-Thames. 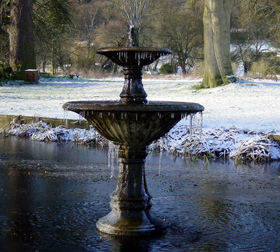 Lesley Wright is the registered manager at The Grange and has over twenty years of care experience behind her. As well as a qualifying record of care, she is also a registered nurse. 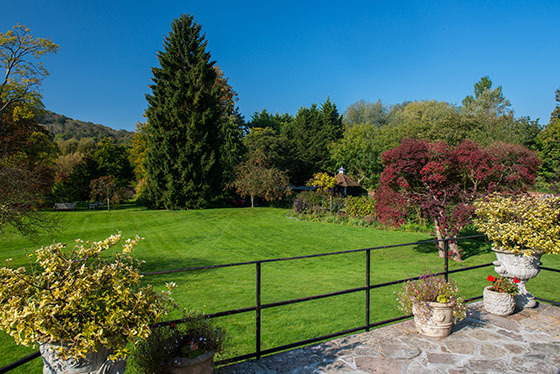 If you have any enquiries about The Grange Goring, please visit the contact page to get in touch. For further information, please call us on 01491 872853.